Hi everyone! 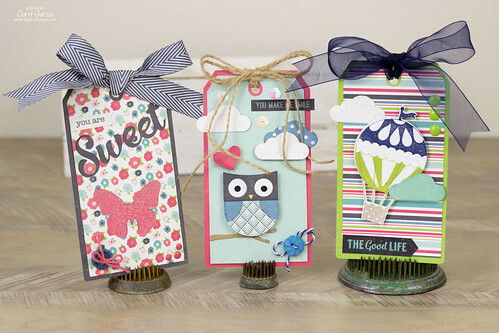 Today I'm sharing three tags made with the We Are Family Collection and the new Designer Dies and Stamps. These were up on the Echo Park Blog a while back and I just realized I never shared them here. I cut the base for these tags with my Cameo using this file. On this tag, I used the Designer Dies to cut the shapes from the tag, backed the negative space created by the butterfly with some pink paper and added some glitter. 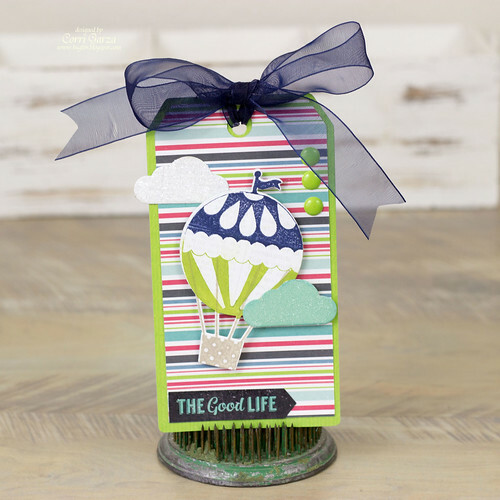 For this tag, I cut out and layered the die cuts and then used foam dots to add some dimension. This little owl is so cute! For my last tag, I used the a stamp and die combo. This technique is new to me but I really enjoyed playing with all the possible color combinations for this. You can find all of the Echo Park Designer Product here. There are so many cute and versatile sets to choose from. These are so super cute! I love them! Adorable!! Love seeing what you do for EP! How cute are these?? You are always so talented and full of inspiration...thanks for sharing!